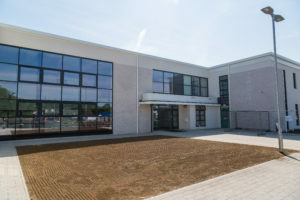 Inverurie’s new Health and Care Hub situated at the existing Inverurie Community Hospital site is designed to accommodate an estimated 30,000 patients within five years. 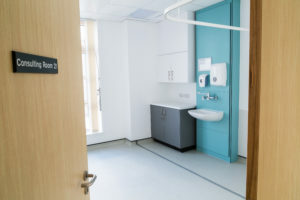 This new, purpose-built hospital will provide additional services to the local region, including dental surgery and a community maternity unit. 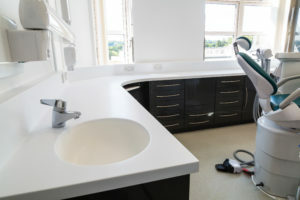 We carried out a mixture of FF&E including Corian® reception counters, IPS systems, fixed cabinetry including Corian® worktops and sinks and curtain tracking. 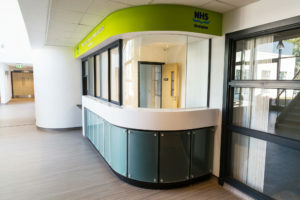 The hospital has 38 consulting rooms – almost double that of the current GP practice. 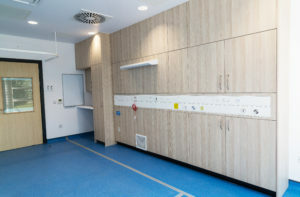 The hospital was successfully handed over to NHS Grampian in August, 2018.